Welcome to the September 2016 issue of our occasional newsletters. 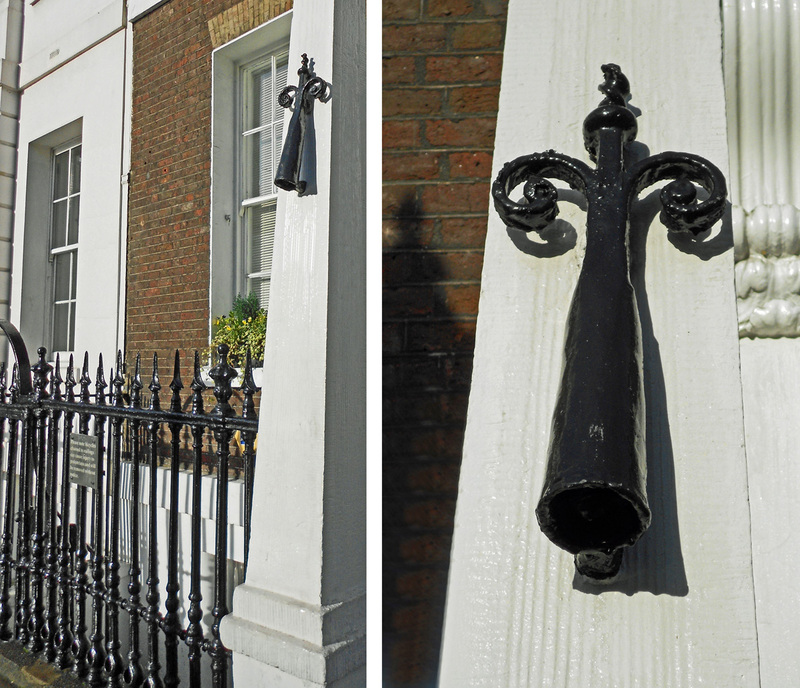 When wandering along town or city streets, you can often spot objects that are leftovers from a previous way of life, including the strange-looking ‘link extinguishers’ outside a few houses in London and elsewhere. Before gas street lighting became widespread in the early decades of the 19th century, urban streets were extremely dark. Even on moonlit nights, the moon might be darkened by clouds, while the buildings on either side would cast deep shadows. For anyone out in the streets at night, there was not just the obvious hazard of being attacked by thieves, but a constant risk of accidents through not being able to see the way. The solution for many people was to hire a link boy – a boy or young man who carried a flaming torch called a ‘link’ to light the way for the traveller. The origin of the word ‘link’ is uncertain, with possible derivations from a medieval Latin word for wick or from a Greek word for portable light. The term ‘link’ was used by Shakespeare, indicating that this method of coping with dark city streets had a long history. Most people hired link boys only when they needed them, but the wealthy had servants in livery, generally young men, who could act as link boys and as bodyguards. They carried not just torches but also wooden staffs and weapons. 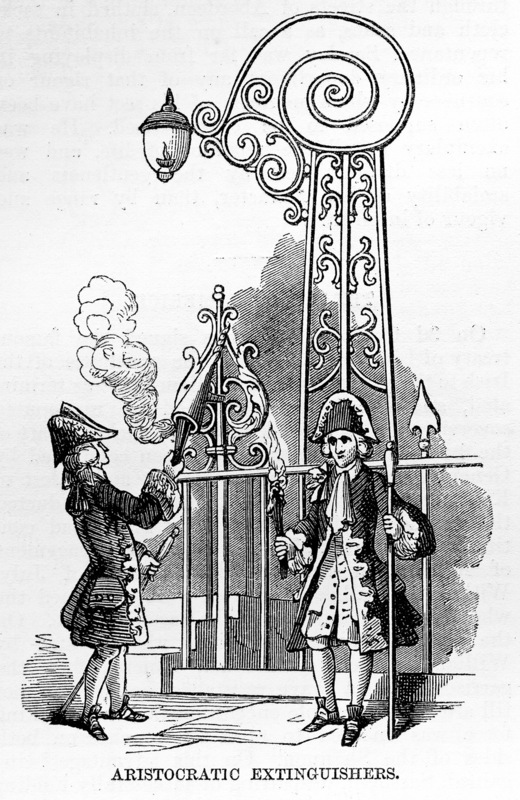 Wealthy households installed link extinguishers outside their front doors for their servants to put out their torches once they had reached home. Hired link boys did not extinguish their torches, but moved off in search of another customer. If you find a link extinguisher that is still in its original position, then that building is probably more than two centuries old, and it was most likely the home of a wealthy family. This devastating freak weather in the northern hemisphere in 1816 was largely due to climate change caused by volcanic activity in 1815, but bad weather had also been experienced just over three decades earlier, which may even have been a key factor that led to the French Revolution. For several months in 1783 and 1784, a massive eruption of fissures of the Laki or Grimsvötn volcanic system in Iceland emitted vast amounts of sulphur dioxide and changed the climate considerably in northern Europe and America that particular winter, and for many years to come. In 1812, 1813 and 1814, a series of volcanic eruptions took place across the globe, including La Soufrière in the Caribbean and Mount Awu in Indonesia, Suwanosejima in Japan and Mayon in the Philippines. Then came Tambora. On Wednesday 5th April 1815, the volcano Tambora on the Indonesian island of Sumbawa erupted with a cataclysmic explosion. Despite the intensity of the initial eruption, Tambora continued to eject lesser amounts of lava and ash over the next four days, followed by a second, even larger explosion on 10th April. In the immediate area, about 12,000 people were killed by falling rocks, showers of ash and red-hot lava, as well as pyroclastic flows – rivers of lava flowing so fast that not even modern vehicles can outrun. in May 1992. Courtesy of NASA via Wikimedia Commons. The loss of life on Sumbawa was just the beginning of the tragedy. The cloud of dust and ash was so thick that it blotted out the sun. As a witness in eastern Java recorded in May 1815, ‘From the 5th to the 18th of the last month the Sun was not distinctly perceived, and if his rays occasionally penetrated they appeared as observed through a thick mist.’ The blotting out of the sun in the surrounding area was hardly surprising since the Tambora eruption blew over 150 cubic kilometres [36 cubic miles] of material into the atmosphere – many times more than in the famous explosion of Krakatoa (also in Indonesia) in 1883. In fact, Tambora is the largest volcanic explosion in recorded history. The resulting cloud of debris, as well as the various gases released in the explosion, gradually thinned out and floated at the mercy of the currents in the atmosphere. It took a year for the cloud to drift to the northern hemisphere, and it gave rise to the appalling weather of 1816 and beyond. Changes in climate continued for several years, and although the weather improved, the suffering of the people continued. It would be decades before the disastrous summer of 1816 would be scientifically explained, but it soon gathered names that passed into folklore. In America it was often called ‘Poverty Year’, ‘The Year There Was No Summer’ and ‘Eighteen Hundred and Froze to Death’, in Germany it was called ‘The Year of the Beggar’ and elsewhere in Europe, where famine and disease led to many riots, it was blamed on the wars that had just ended and so was called ‘Napoleonic Weather’. In Britain it was simply remembered as ‘The Year Without a Summer’. One positive effect of the volcanic ash cloud was on those visual artists who took especial note of the weather in their work, the prime example being the artist J.M.W. Turner. The cloud of volcanic dust produced dazzling sunsets and strange smoky yellow skies, which he captured in many of his paintings. ‘I had a dream, which was not all a dream. Although they had escaped various problems in England, the travellers at the villa were unable to escape the weather. 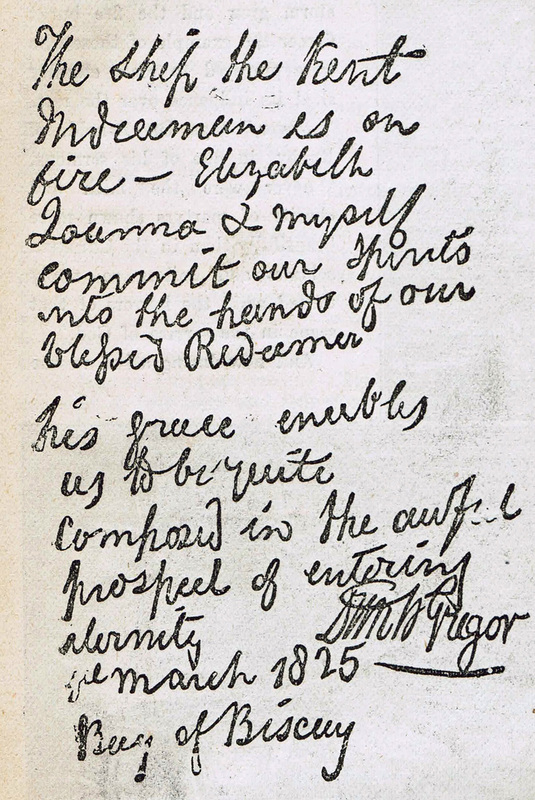 Being confined indoors for days on end, Byron challenged them to each write a ghost story. Although Byron and Shelley soon gave up on theirs, John Polidori started on The Vampyre, which became the first modern vampire story. Mary Shelley persisted and finished her story there. 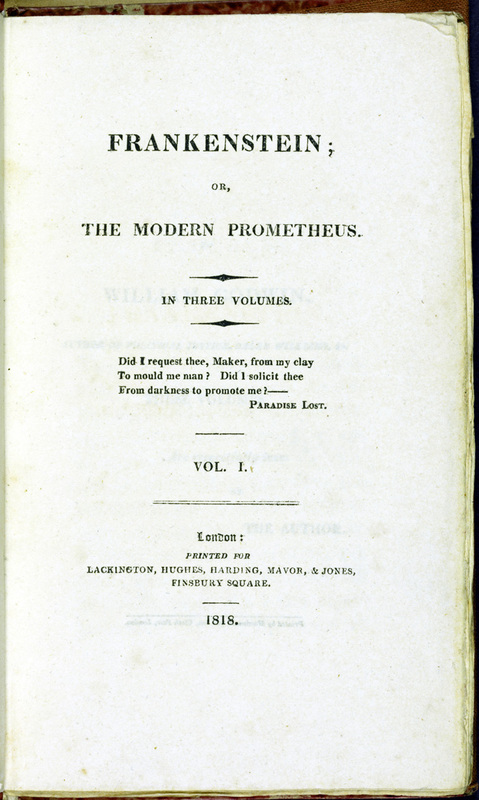 The result was her famous novel Frankenstein, published in 1818 in (as was customary) three volumes. 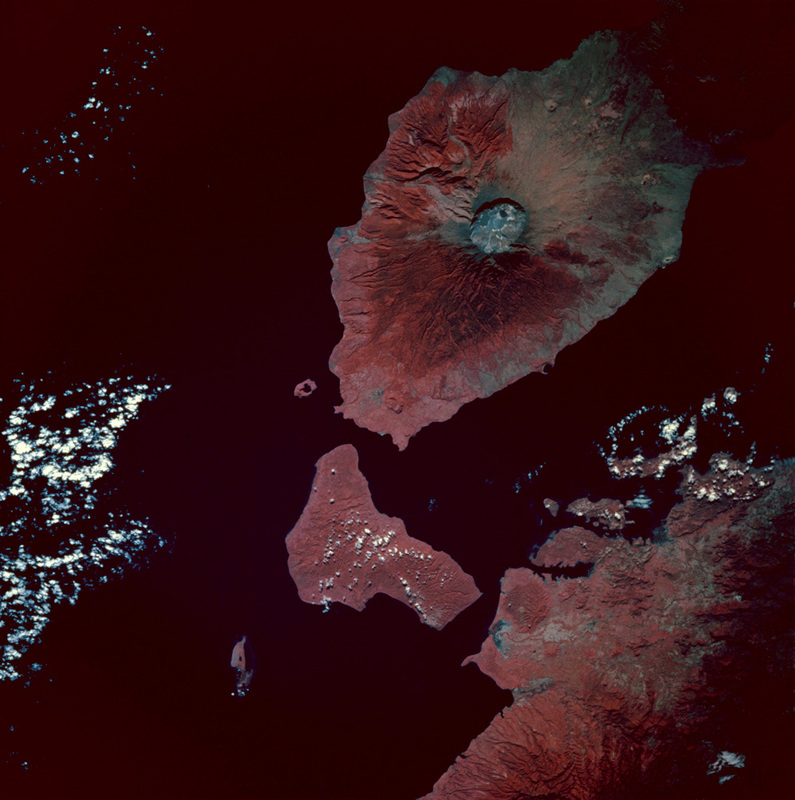 For most people, Tambora would wreck their lives as the change in climate caused havoc. A succession of greatly diminished harvests led to famine and food riots, particularly in Britain and France, and epidemics took hold more easily in populations that were weakened by starvation. In Ireland, the famine led directly to a typhus epidemic in which it is estimated that up to 100,000 people died. Across Europe the situation was less clear cut. Many deaths were recorded as being due to ‘fever’ or ‘famine fever’, which were catch-all terms that covered many unidentifiable diseases. Apart from the typhus epidemic, the overall picture was one of a general worsening of health across Europe, with endemic diseases taking advantage of a weakened population. Then came news of the plague. Bubonic plague had appeared in India in 1812 and spread rapidly to Constantinople. It then invaded eastern Europe, and by 1816 western European countries were forced to set up drastic quarantine procedures covering all Mediterranean and Adriatic ports. These measures effectively stopped the epidemic in its tracks, and only a few cases broke out in Europe, which were quickly dealt with by isolation and by burning the houses of victims. The cholera epidemic took Europe by surprise, largely because the disease was so little understood. It had been endemic in India for some time and was largely confined to that country, but the failed harvests of 1816 triggered an epidemic that was transmitted westwards by British military operations across the north-west frontier into Afghanistan and Nepal. In this initial phase, about 10,000 British troops and hundreds of thousands of Indians died. From Afghanistan it took fifteen years for cholera to work its way into Europe, finally reaching Britain in 1831. The following year, 1832, it crossed the Atlantic to America and Canada. In its slow march across Europe and America, cholera left hundreds of thousands, possibly millions, of people dead in its wake. In our last newsletter, we mentioned that one of the queries we often receive about our book Jack Tar is ‘How can we purchase the paperback book in the United States?’ We are pleased to say that it is now back in stock on Amazon.com, so buy it now while you see it! The ISBN is 9780349120348. ‘Jack Tar’ remains one of our most popular talks, though until we finish our new book on the Great Siege of Gibraltar, we are not booking any more talks. We are, though, looking forward to giving a ‘Jack Tar’ talk at the January 2017 meeting of the Jane Austen Society South-West (on the 28th). This is a very active branch of the Jane Austen Society, and it holds four conferences a year, each one lasting from 10.30am to 3.30pm, with morning coffee, buffet lunch and two talks. They are held in central Exeter (at Southernhay Hall, Dix’s Field, EX1 1QA). This gives you plenty of time to join – for further details, see their website page here (you do not have to be a member of the main Jane Austen Society to join). There is more on his website here. The latest quarterly issue of Quarterdeck has just arrived, for September–October, always a welcome moment. Its tagline is ‘celebrating maritime literature & art’, and readers will find many books that they will want to read – from the latest ones by well-known authors to little-known gems that have been brought back into print. We are delighted to be featured on page 3, with news of the book we are writing on the Great Siege of Gibraltar. Several pages are devoted to Julian Stockwin, whose Kydd books continue. His latest book is The Powder of Death, a new standalone novel about gunpowder being brought to England for the first time. We’ve not yet seen the novel, but it sounds fascinating as gunpowder looms large in the Gibraltar siege. Quarterdeck is published by Tall Ships Communications under the editorship of George Jepson and distributed by McBooks Press. To download this latest copy (and back numbers), go to McBooks here. In the 18th century mariners had been especially concerned with finding a reliable way of establishing the longitude of a ship at sea, but in Britain this was eclipsed by the wars with the French. Once the conflict ended in1815, there was a renewed concentration on navigation. With improvements in the accuracy of clocks and watches, longitude was less of an issue, but ocean currents – as important for sailing ships as the prevailing winds – became a focus of attention instead. Captain Becher, the editor of the Nautical Magazine, had published a chart based on the information from bottle papers, and in 1852 he drew up a second enlarged chart, which provided new information about ocean currents. It also sparked a great deal of discussion about the accuracy of the method. McGregor sealed the message in a bottle, but fortunately another ship came to the rescue before the Kent blew up. Of 641 people on board, 560 were taken off safely, including Major McGregor and the women mentioned in the message. The bottle with the message had been left in his cabin and survived the explosion. Approximately 19 months later, it was found on a beach on Barbados. Towards the end of the 19th century the study of oceans, including their currents, became more scientific, with expeditions set up specifically for that purpose, and during the 20th century, with the benefit of much more efficient communications and mapping instruments, oceanography became a distinct science. Now the serious role of messages in bottles has long been superseded and forgotten, and bottles washed up on the beach are just regarded as rubbish to be disposed of.